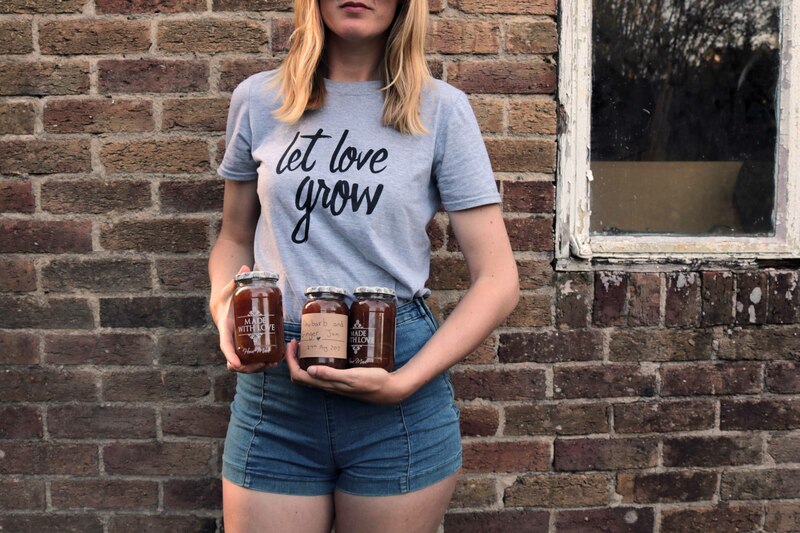 I haven’t made jam in such a long time and I miss it terribly, I just love the smell of the kitchen when the fruit is bubbling away but what I love more is producing jars of goodness that will keep my family going through Winter. There’s something special about cooking something you’ve grown or been gifted, labelling it up and putting on on the shelf for storage. It makes me feel incredibly happy and something I want to do more of in the future, in fact I’ve been busy reading Alys Fowler ‘Abundance’ and it’s been so inspirational. So of course I just had to make jam with this batch of rhubarb! I found this recipe online at www.bbcgoodfood.com and thought I’d give it a go, I’m so glad I did as the taste is delicious. I changed it a little mind you and put less ginger in which I’m quite glad about, I’m not a huge fan of the stuff and even with less ginger in the recipe it still has a rather strong gingery taste which would have been very over powering if I put all the recommended amount in… But here is the recipe for you all to enjoy and I hope you do! 4cm piece of ginger, peeled and finely grated. 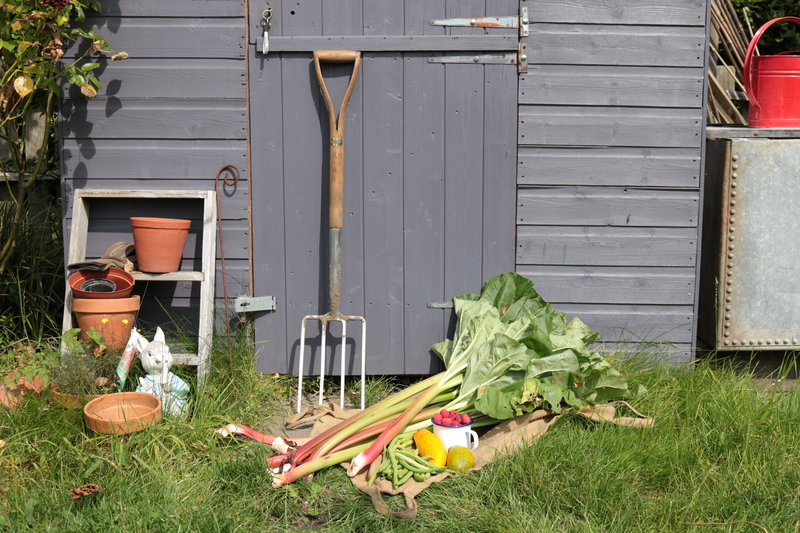 Wash the rhubarb and slice them into 2cm pieces. Place into a large bowl with the jam sugar, the lemon zest and juice and the finely grated ginger. Stir the mixture thoroughly, cover with clingfilm and leave for 2 hours so the sugar can dissolve into the rhubarb pieces. Transfer the mixture to a jam pan and set over a medium heat until all the sugar has fully dissolved. Bring to the boil and continue to cook until the rhubarb is tender and the jam has reached the setting point (220F). This usually takes roughly 10-15 minutes. 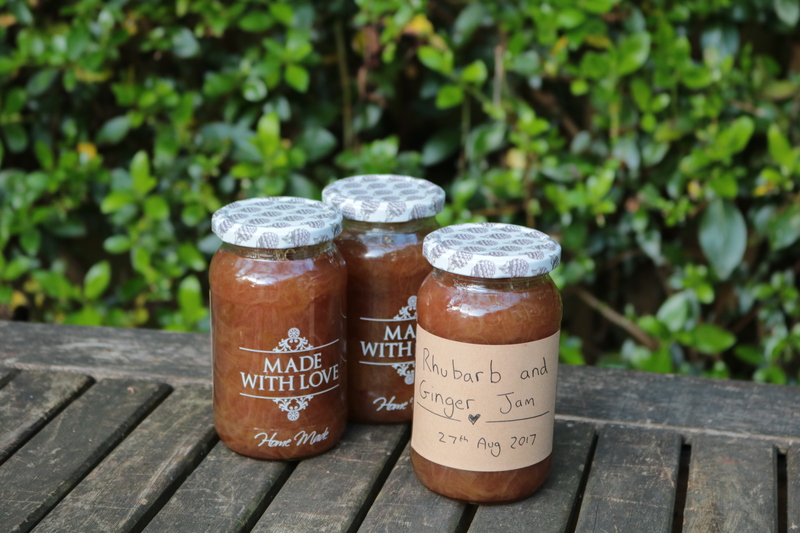 Rhubarb and ginger jelly. Now that sounds good… really good. Just been to Hexham and bought Jam sugar to try your Jam, got a small piece of ginger stalk to put in. Does putting boiled water in jars sterilise them? Not sure how to keep them mould free around the lid. Yay, I hope you like it! I give my jams and good wash in hot water and then fill a quarter with hot water and pop the lids on until the jam is ready then I empty the water and put the jam in. I really want to start water bathing my jars though. I also put wax seals inside my lids. Hi Katie, followed your instructions, result! Delish jam. Had no idea I could buy jam sugar, must be good, the mixture set beautifully and I also grated a little bit of fresh ginger in plus a pinch of powdered, love the taste. Thank you.